Horror stories have trickled out of China’s Xinjiang province for years. Now research points to a flood of human suffering and disturbing human rights abuses. Yet with threats of China’s economic retribution, many countries have been reluctant to voice concern against Beijing. With this backdrop, it was a welcome note that this week, the world’s oldest statesman stood up and pushed back. Uighurs, the indigenous Muslim population of Xinjiang, have long suffered the ire of Beijing. 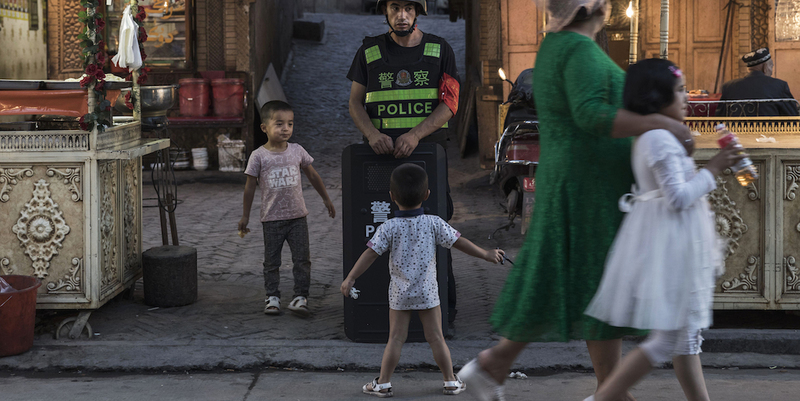 In Xinjiang, Orwellian population controls have been increasingly scaled up since 2014 when China launched its “people’s war on terror”. Today, the United Nations calls Xinjiang a “no-rights zone”. The reports on the treatment of Uighurs are changing the calculus for some countries’ diplomatic relations with China. Recent reports cited by UN human rights experts suggest that a million Uighurs are currently detained in re-education camps. Xinjiang party secretary and politburo member, Chen Quanguo, previously in charge of establishing the police state in Tibet, has ramped up the campaign of mass surveillance and re-education in Xinjiang since taking over the position in 2016. Stories of those released from the camps are deeply concerning. Unsurprisingly, these reports are changing the calculus for some countries’ diplomatic relations with China on the issue. Mahathir Mohamad, the 93-year-old who won a remarkable victory in May to once again become Malaysia’s Prime Minister, is a fearless plain speaker. In August, he warned of a “new version of colonialism”, while standing next to Chinese Premier Li Keqiang. Upon taking office, one of his first actions was to cancel $23 billion in Chinese BRI projects. If there was a man to stand up to China, it was him. They have done nothing wrong in this country, so they are released. Beijing’s response was strong, saying it “resolutely” opposed the move. After their release, the men flew to Turkey, a country that has a kinship with the Uighur and a long history of supporting the ethnic group. Mahathir’s decision is a significant shift in policy from his predecessor. During the term of the embattled Najib Razak, dozens of Uighurs were arrested in Malaysia and deported to China including those with pending refugee applications. The 11 were lucky. In recent years, the list has continued to grow of countries willing to extradite Uighurs back to China – among them Egypt, Pakistan, and Malaysia. Even Turkey, a natural ally of Uighurs, has erred recently. In 2009 Prime Minister Recep Tayyip Erdogan called incidents in Xinjiang a “genocide”, angering Beijing. In 2012, he stopped in Xinjiang on his way to Beijing. Since then, courted by Beijing and particularly since the 2016 coup – when relations with the EU and the US soured – his advocacy for the Uighur has quietened. As a result, a strong, natural advocate for the Uighur has been largely silenced. Turkey is not alone in struggling to navigate the sensitivities of the issue – trying to please Beijing, local constituents, the Uighur community, while also meeting human rights obligations. This is a breach of the principle of non-refoulement, which is a core tenet of international humanitarian law. The incident provoked violent reactions with protesters attacking the Thailand Consulate in Istanbul. A month later, a blast ripped through central Bangkok killing 20 and injuring over 100. Two Uighur suspects are accused of carrying out the bombings; they deny the charges. Thailand is a key transit destination for extremist fighters transiting from Southeast Asia to theatres in the Middle East. And according to the International Crisis Group, ISIS has gifted its fighters trips to Thailand for R&R. Unsurprisingly, Bangkok worries of repercussions if it continues to deport Uighurs to China. It also worries about the repercussions if it doesn’t. Malaysia is in a more enviable situation. Mahathir has nothing to lose and Anwar Ibrahim, the prime minister in-waiting, can hit the reset button on relations when he comes to office. Anwar, however, has already been outspoken on the issue and in September called for a dialogue with China. He went further, telling Bloomberg that Muslim governments were ”scared” to speak out against China. A deliberate attempt by Beijing to strangle Uighur culture and stamp out the Muslim faith. Others, Marco Rubio and Chris Smith, are exploring the use of the Global Magnitsky Act to sanction those engaged in human rights abuses. That’s a good start. A broader based coalition is needed that can lessen the burden and absorb the force of China’s anger over greater international attention to the situation in Xinjiang. That is an important first step in building a strategy to support the Uighur and to help shed greater light in what is today one of the darkest corners of the world. Links on updates across the aid and development field. Finding common ground in the Australia-Indonesia bilateral relationship is getting easier these days, driven by two shared strategic realities: China is coming; and the US is going. We are so accustomed to hearing ministers spruik the close relationship between Indonesia and Australia, it can be easy to forget that tensions still simmer below the surface.